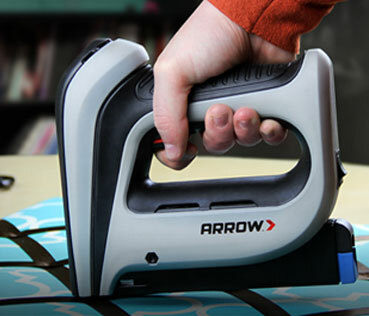 If you’re looking for a nail gun that also fires staples, you’ve come to the right place. We offer several multi-use tools that fire our genuine Arrow brad nails and America’s best-selling Arrow T50 staples. These combo tools can help tackle professional jobs and home projects including general repair, upholstery, insulation and light trim.